Coltsfoot growing in a gravel path. It also thrives in roadside ditches. especially if you didn’t know that coltsfoot is the earliest blooming wildflower in northeastern North America. Can you tell them apart when I put them next to each other? 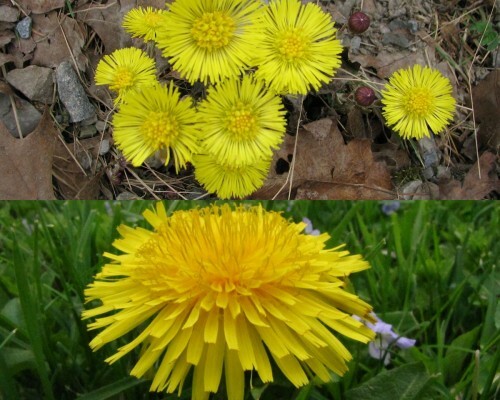 Coltsfoot flowers are above; a single dandelion flower is below. Furthermore, coltsfoot flowers bloom without any foliage at all. 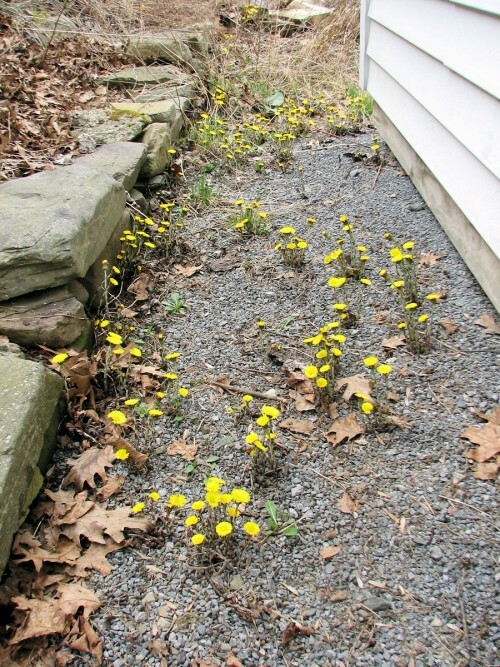 Dandelions send up leaves first, and then the flowers bloom later. Coltsfoot flowers (on the left) bloom next to a dandelion seedling. And if you think back to your dandelion-picking days, you’ll remember that dandelions have a smooth, tubular stem that oozed a white, sticky sap when you picked the flower. Coltsfoot has a scaly stem. Coltsfoot stems are scaly. My finger points to an emerging flower stalk. Coltsfoot is a mud season flower, blooming before you can count on nice weather, usually in April around here, but this year–well, everything is early, and we scarcely had mud season. It blooms before bloodroot and liverwort, the two earliest native wildflowers that I know of. And according to my earlier post, it blooms about a week after the peepers are heard. In a more typical year, I think the coltsfoot bloom would overlap with the last of the crocuses and the first daffodils. I knew coltsfoot wasn’t a native plant, but I always thought of it as rather innocuous, always there but never taking over. In my research for this post today, I discovered that many states have branded it as an invasive plant. The Invasive Plant Atlas of New England says coltsfoot can crowd out native species. I wonder what species, in particular? The roots can go down 3m–almost 10 feet–so it would certainly be difficult to dig out. It is not listed as an invasive species in NY, but I couldn’t find an official invasive species list for NY state; if you know of one, please let me know. 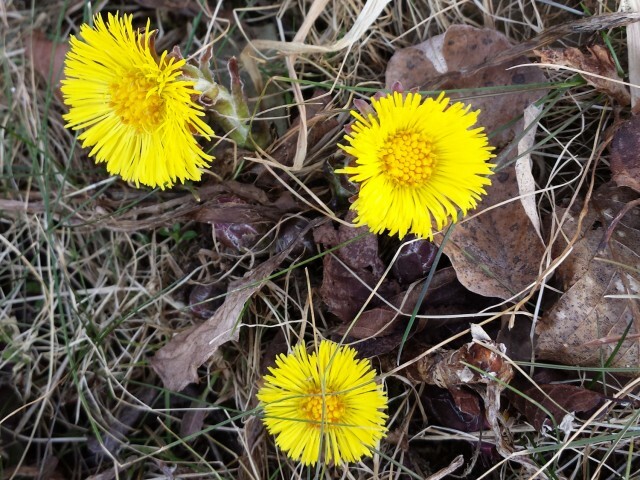 You may have heard of coltsfoot being used as a cough remedy. 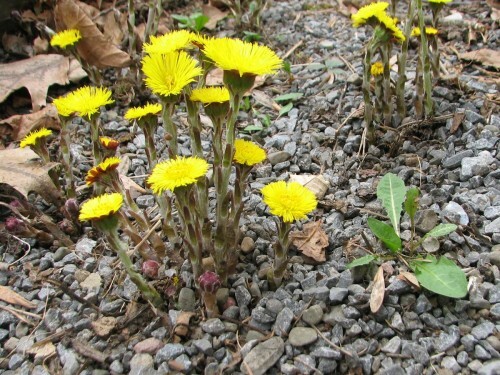 Before you do so yourself, please read the Coltsfoot Wikipedia article. Coltsfoot has been associated with liver problems and was banned in Germany until a special form of coltsfoot was bred for medicinal purposes. 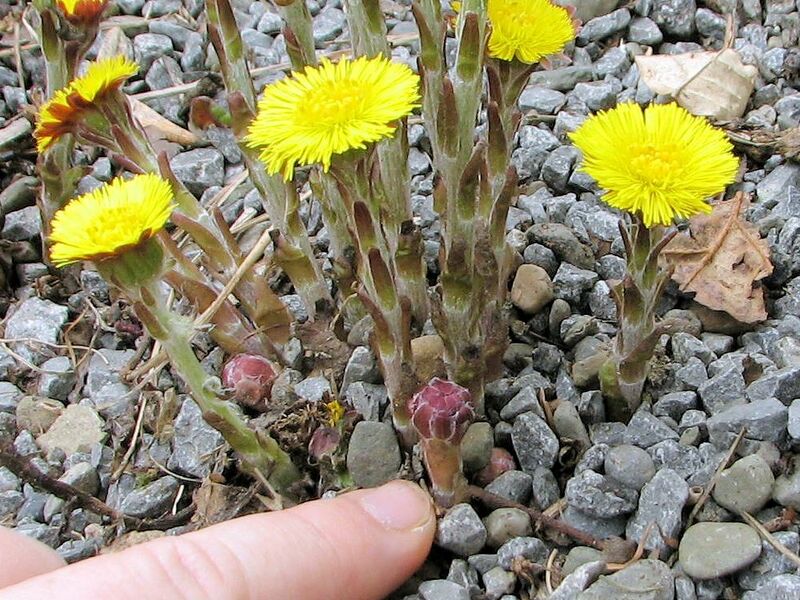 I’m sorry to learn that coltsfoot misbehaves in some locales, as it is a sign to me that winter is truly over, and therefore a symbol of hope. Are you familiar with it where you are? 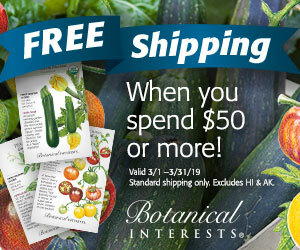 Hard Freeze, But No Frost: What Gives? Thank you for identifying the coltsfoot for me. I have seen it growing in the culvert every spring in my neighborhood. As you said, it comes up right around the same time that the spring peepers start singing. While they may be mistaken by only looking at their flowers, their leaves are more easily to distinguish. Thanks, I learned something from you today. I have seen coltsfoot before, but I always thought it was a variant kind of dandelion. Now I know differently. A little new knowledge is never a bad thing. GREAT photos of the coltsfoot! I’ve been to numerous sites but they’ve all given only a written description. Your pictures will make it much easier for me to look around the fields and woods for it. I’ve used it (purchased dried) for decades for bronchitis, laryngitis, and upper respiratory illnesses. It’s amazingly effective. Thanks for the info! coltsfoot, yes I like it, the dandelion, well, your picture of it looks fine. Oh yes, I most certainly know a dandelion flower. We are on intimate terms. I don’t think we have that other one, we must be too far south. I also was a pen-pal for many years but I married mine! My husband is the gardener at my house but he does let me water the plants sometimes! Dandelion is the first wild vege i like to enjoy. In my apple orchard dandelion grows in abundance in early spring.It is free of any bitter taste. I collect a lot of it. We clean it and allow it to dry in the shade.Dried dandelion is delecious. I have never mistaken this for dandelions, but I always thought this was what some refer to as marsh marigolds. No, marsh marigold is something different. I grew it at my former garden and hope to move it here. Maybe I will get to show it to you sometime. I’ve got coltsfoot – and a friend who is trying out a decoction of buds and stems to ameliorate her cough. Another name for coltsfoot is coughwort. 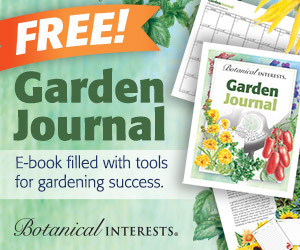 What is the botanical name for ground elder? I wasn’t aware that ground elder was edible, but perhaps we are calling two different plants by the same name. It’s so cute, Kathy! I don’t recall seeing it, not in my garden anyway, but it could be growing in the wild around here and be mistaken from afar for dandelion. Those we have plenty of.